PLAN LEARNING ADVENTURES FROM BOOKS! Do you enjoy a good story and sharing an easy laugh with those closest to you? I do. And wouldn’t I love to share an afternoon cup of tea with my best literary friend? Yes, I would! There’s something cheery in that thought. This quote is taken from the book Anne of the Island by Lucy Maud Montgomery. It is spoken by Anne’s friend Stella in the midst of a conversation. 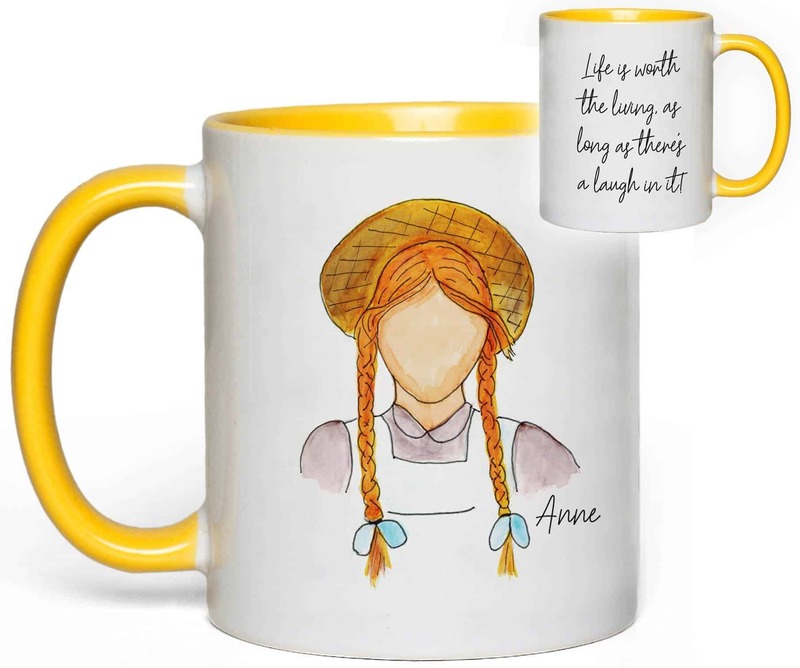 The quote perfectly summarizes the joyful spirit possessed by Anne who loves life and and is always on the lookout for ways to make each day just a little bit more special. The mug is dishwasher and microwave safe, and is great for hot or cold liquids. It features a cheery yellow interior and handle and holds approximately 11 oz of liquid. 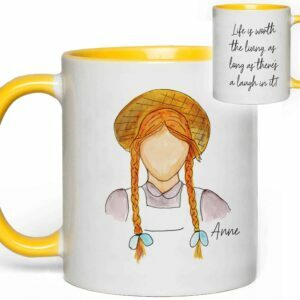 This adorable Anne of Green Gables Quote Mug is made by a dear friend. We hope you love it as much as we do.